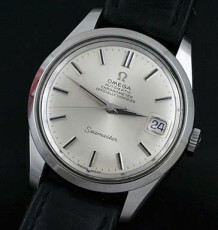 Vintage Omega Seamaster watch with original satin finish dial. Calibre 552 movement with date display. This vintage Omega Seamaster dress watch carries a gold capped case and dates to end of 1965. 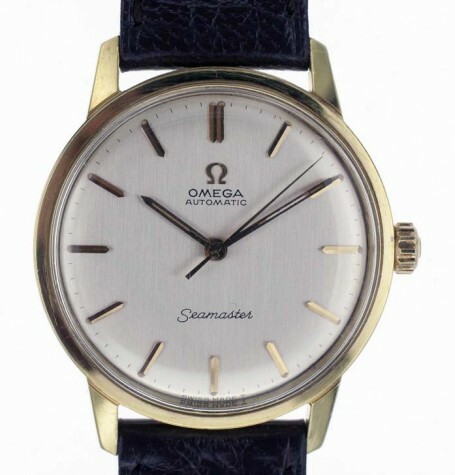 This Seamaster watch shares many of the same features found on the Omega Seamaster Deville watches that have become very popular. 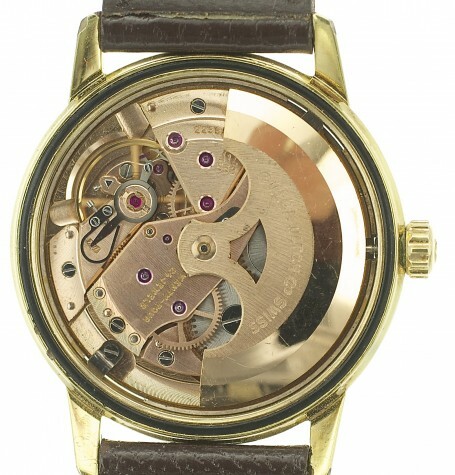 The most notable difference is this model features a screwed on caseback which makes it easier to access the movement. 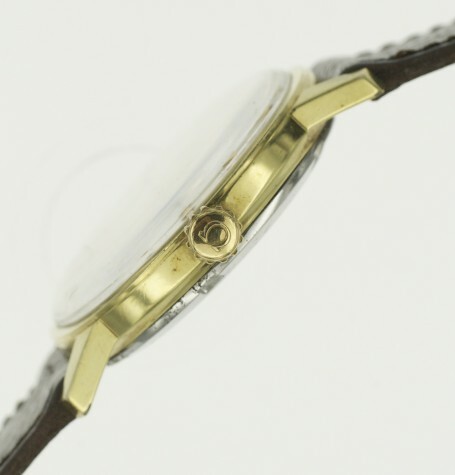 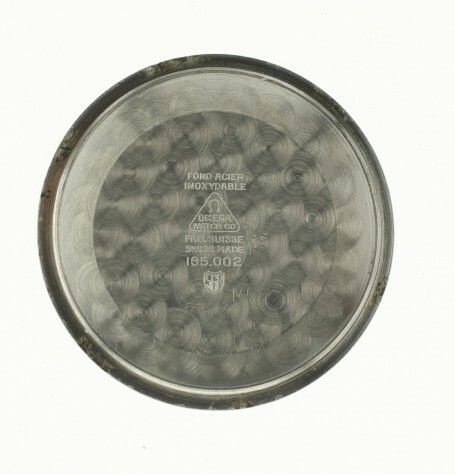 The Deville models usually had a mono-block caseback meaning the movement was only accessible through top of the watch by removing the crystal. 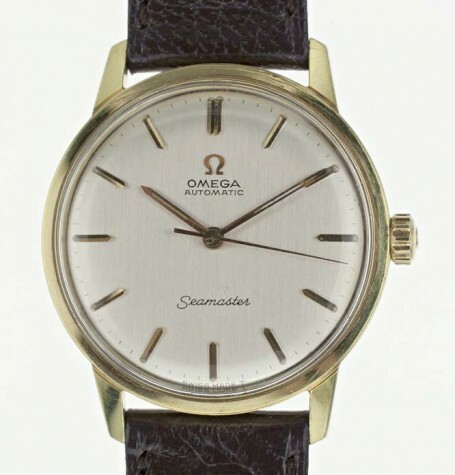 The all-original satin finish dial is in excellent condition. 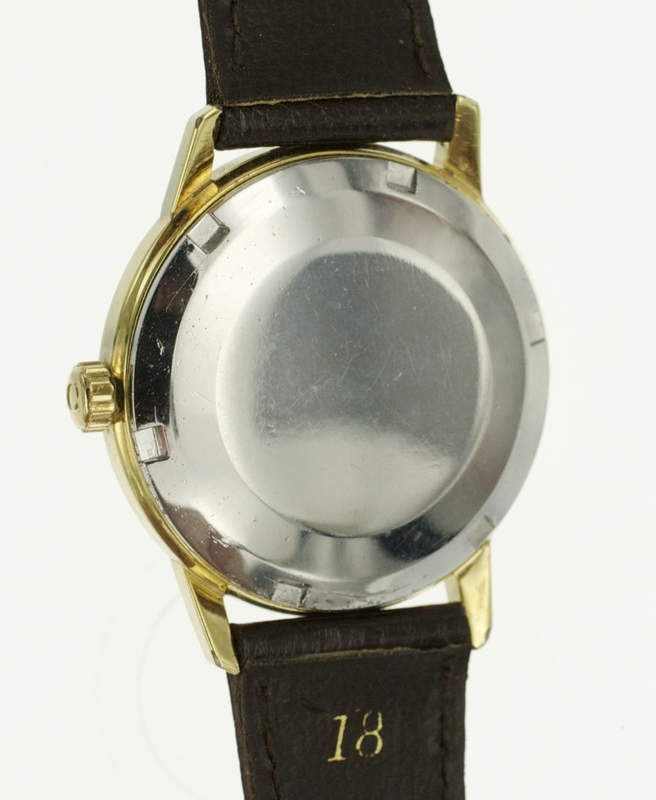 The silver-satin finish of the dial makes it difficult to photograph but is is striking in person. 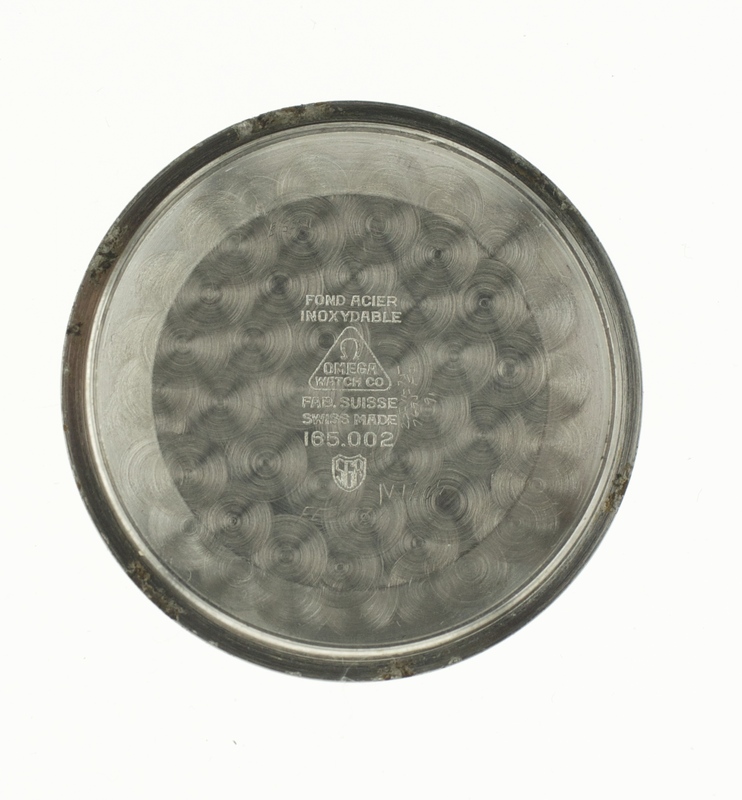 The hour markers consist of long pointed gold tone markers that are ridged upward. 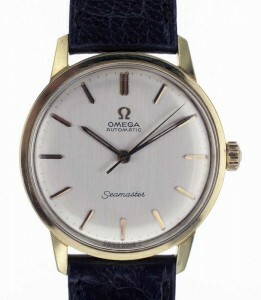 The gold coloured hands match the hour markers with sharply pointed pointer ends. 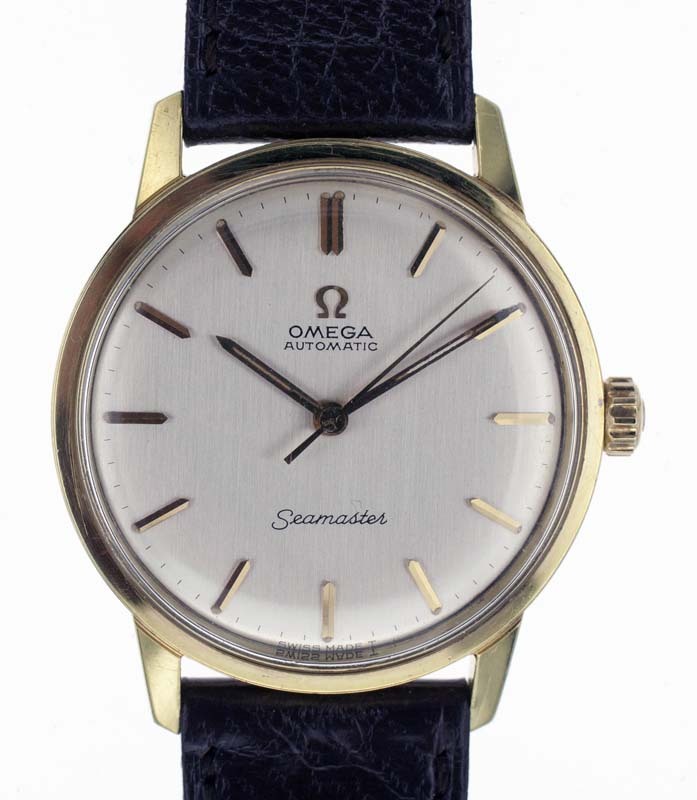 Note the lack of a date window at 3 o’clock gives the watches a more balanced symetry and the original Omega signed crown. 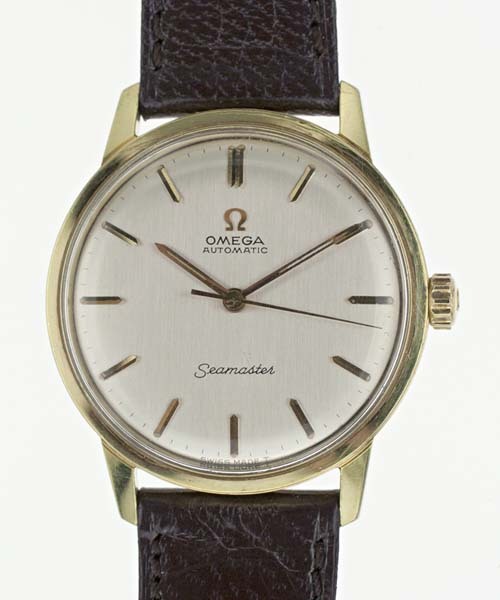 The vintage Omega Seamaster watch is fitted with a high grade 24 jewel, automatic Omega calibre 552 movement . 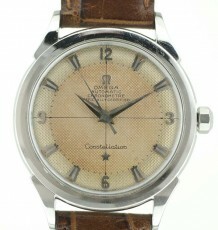 The serial number in the 22.9 million range dates it to 1965. 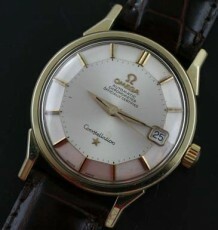 The watch was just serviced and is running flawlessly. 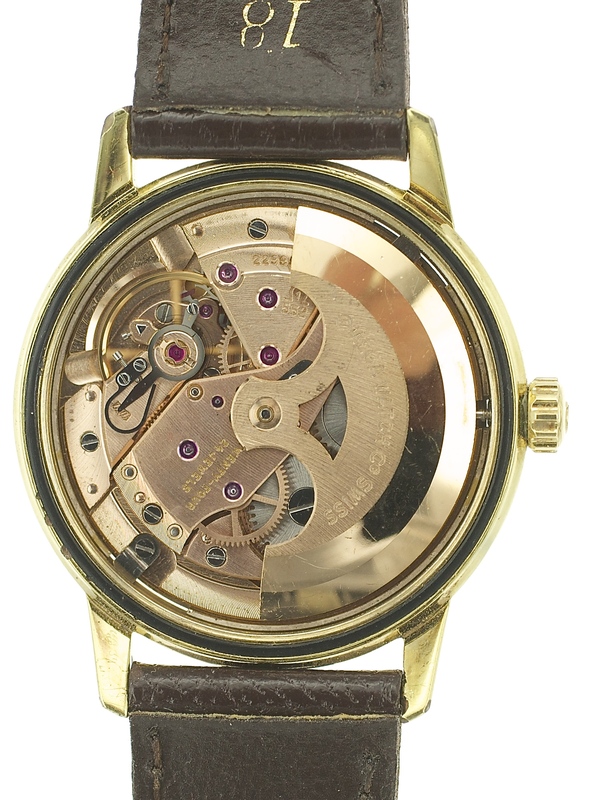 The steel case back carries a reference number 165.002 and with a smooth caseback. 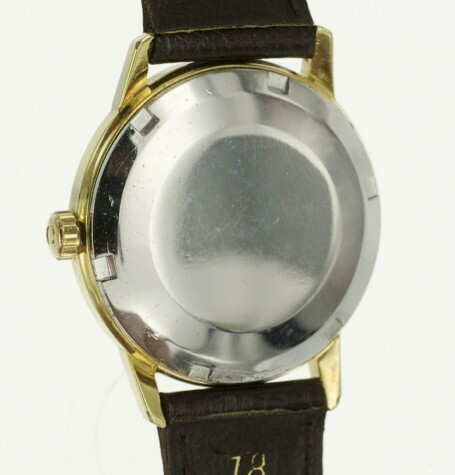 The watch measures 34.5 mm wide by 40 mm long and is pictured on a brown new old stock kidskin leather strap with was made in France. 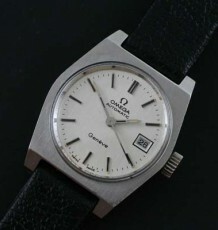 A black leather strap can be fitted instead should the buyer request it.